feeling the impact of a warming planet, according to new polling. the mainstream scientific position that climate change is occurring. effects of climate change were already beginning to bite in Australia. rankings are the differential between respondents’ "good" versus’ "poor"
the government should take climate change more seriously. blocked by a combination of Labor and Greens senators. businesses keen to reduce their carbon emissions. for renewable energy, such as wind and solar. John Connor, chief executive of the Climate Institute, which railed against climate change ‘dinosaurs’ alongside former Liberal leader John Hewson on Sunday, said there was a strong public expectation for politicians to tackle climate change. 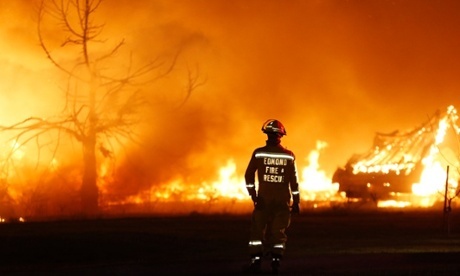 attitudes on climate change, but particularly Tony Abbott,” Connor said. What's up with Australia's electricity sector?